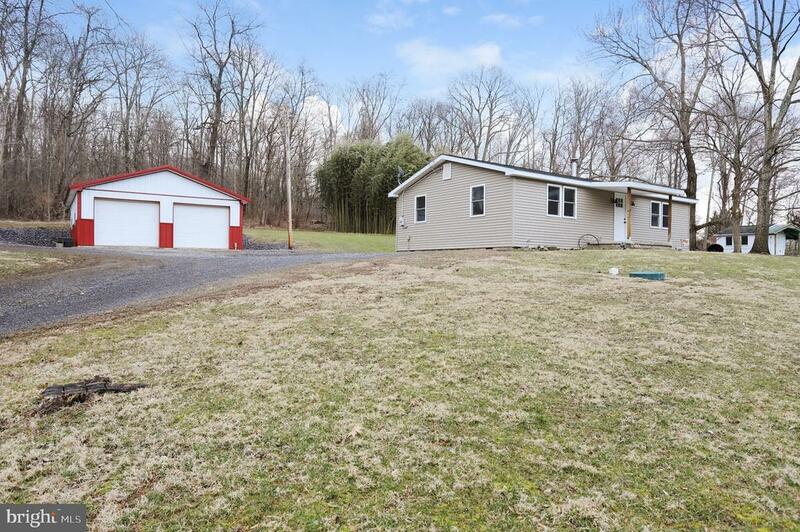 Remarkable opportunity to own 3.83 +/- acres, a very nice detached insulated garage w/electric, concrete floor and storage, renovated home w/rustic barnwood appearance solid hardwood flooring. The new kitchen features butcher block counters and new appliances. The bathroom is even new. Separate laundry room with stone flooring and fresh paint throughout. The roof is only 4 years old. Vinyl windows too! This house is ready to become someones home.